What is it? Oh, yeah! 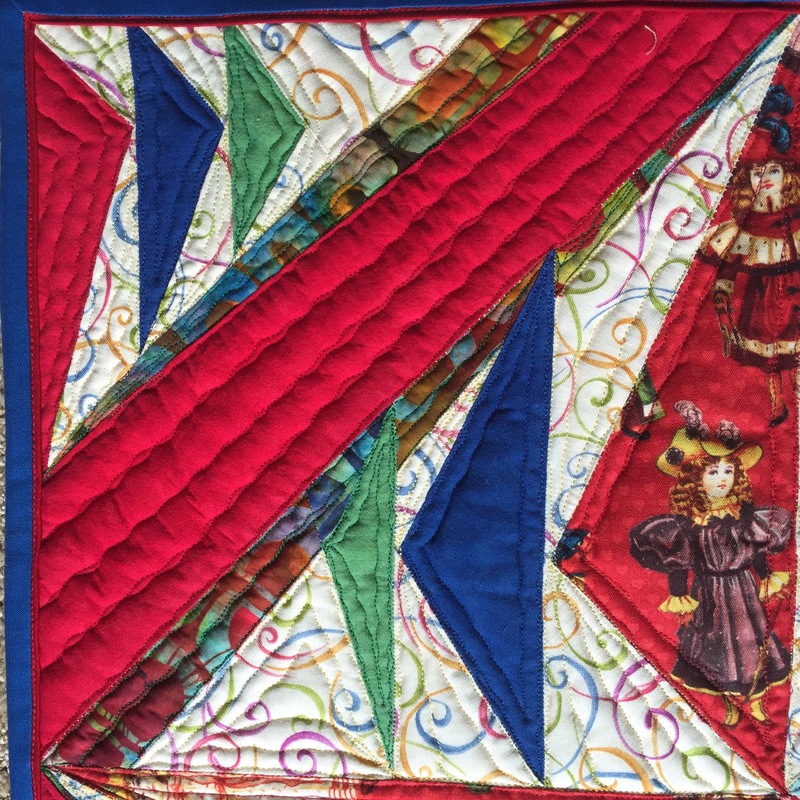 Month 5 of the Project Quilting Focus Through the Prism Challenge! Only 2 more to go: blue and Indigo. Or is it Indigo and purple? Or purple and navy? All I know is: It’s not RED. Because that was covered this month! Cherrywood Fabrics red plus flying geese plus a doll print mixed with some paper piecing resulted in this month’s challenge. 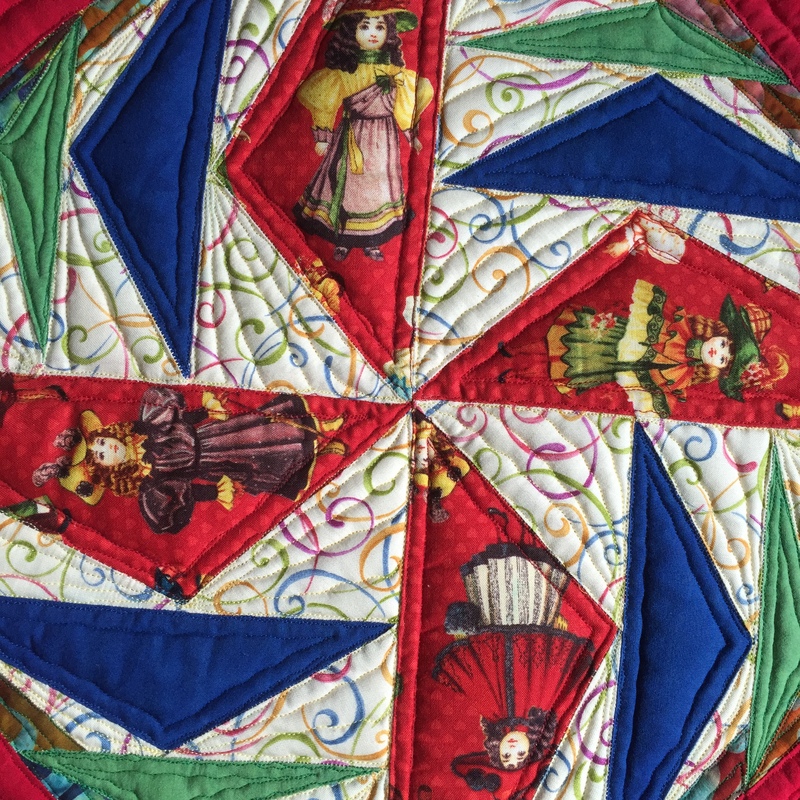 The doll fabric was a “shopping bag” provided by a quilt shop made of unsold material. Neat idea, but I never liked the fabric. Perfect for use in one of the challenge quilts, right? 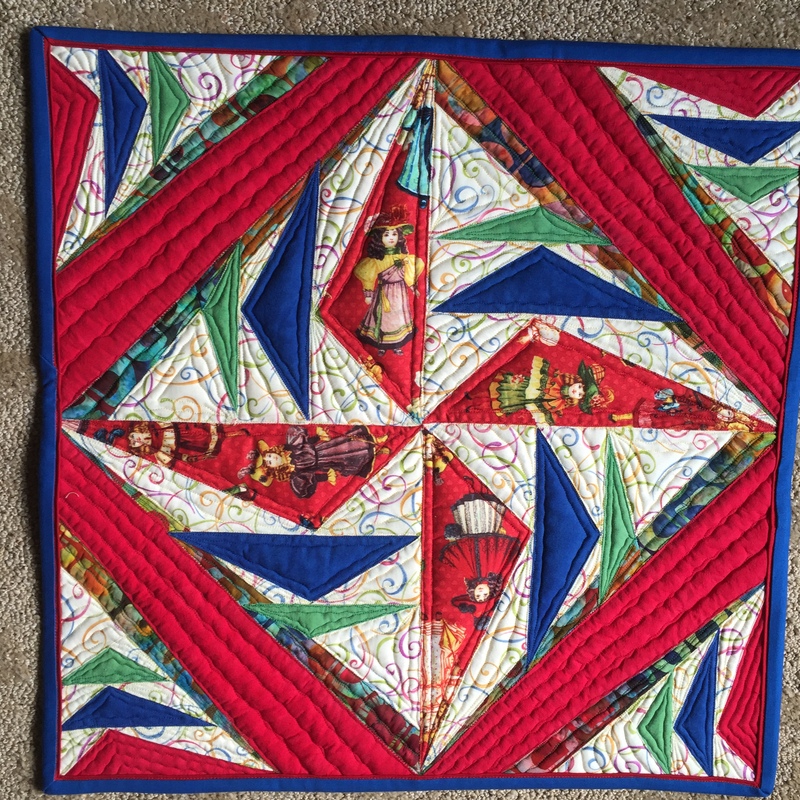 You can find the other quilts from this month linked up here. Go check it out. The quilts are all so cool and unique! 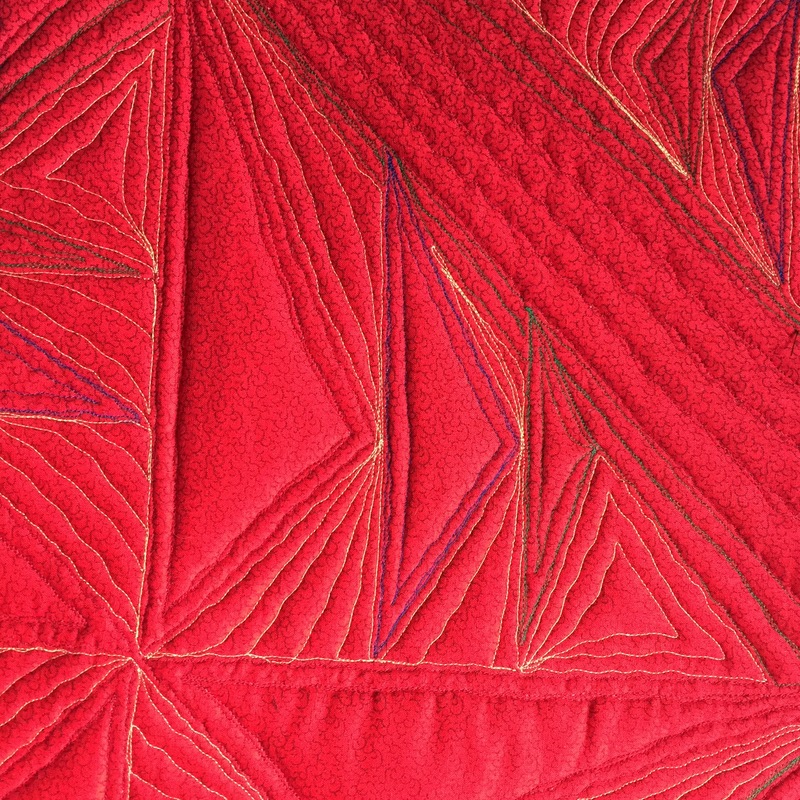 Added: Most of my paper piecing inspiration for the FTTP challenge has come from Block Rock’n at 627handworks.com. I usually do some sort of modification of those patterns. 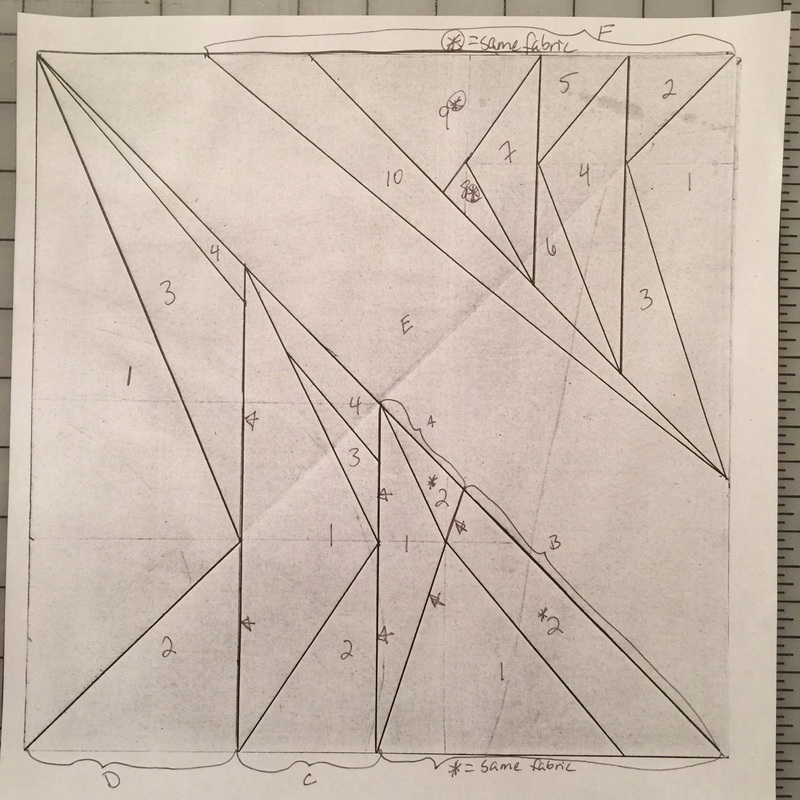 For this one, I found this pattern, but it wasn’t quite what I was looking for, so I had to get out the graph paper. To make this, I drew out a paper piece pattern. You can print it to any size, but to make a 20×20 square, each of my 4 pieces is 10×10 (so each is printed on 11×17 paper and cut down). Piece sections A, B, C, D, and F as separate units in order 1,2,3,4, etc. The #2 pieces for Sections A & B should be the same fabric. The #8 & #9 pieces for Section F should be the same fabric. Sew A & B together. Sew C to the AB combo. Sew D to the CAB combo. Sew E to the DCAB combo. Add F to all of that. 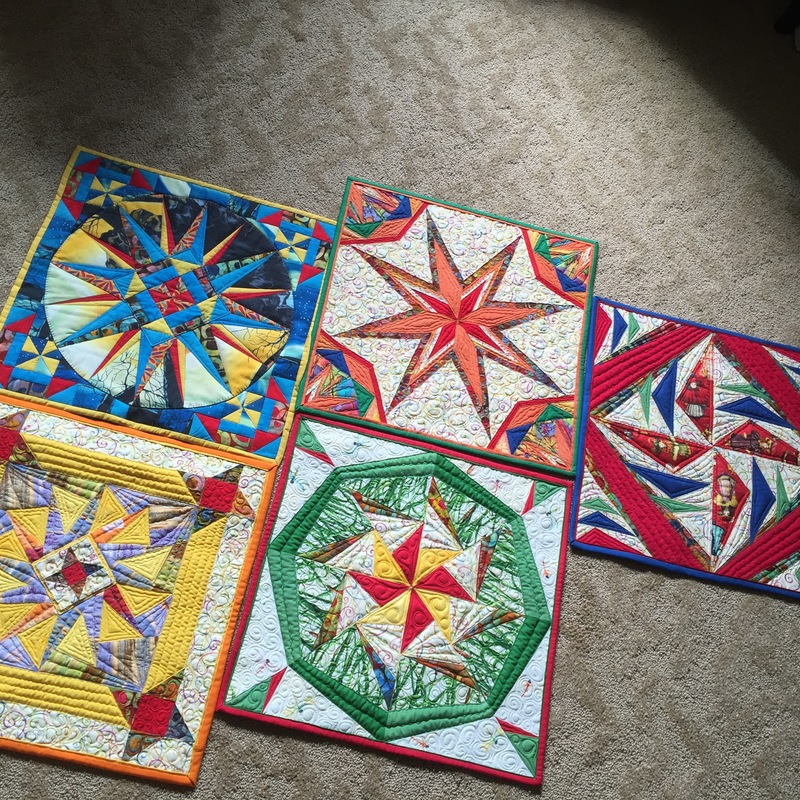 Repeat 3 more times, then sew the 4 quadrants together.